This property is a 4-minute walk from the beach. This unique property is built around Queenstown's original dairy/corner store, dating back to the 1920's. The Dairy Private Hotel is the ideal base to explore Queenstown, located just a 2-minute walk from the vibrant town center and the Skyline Gondola. 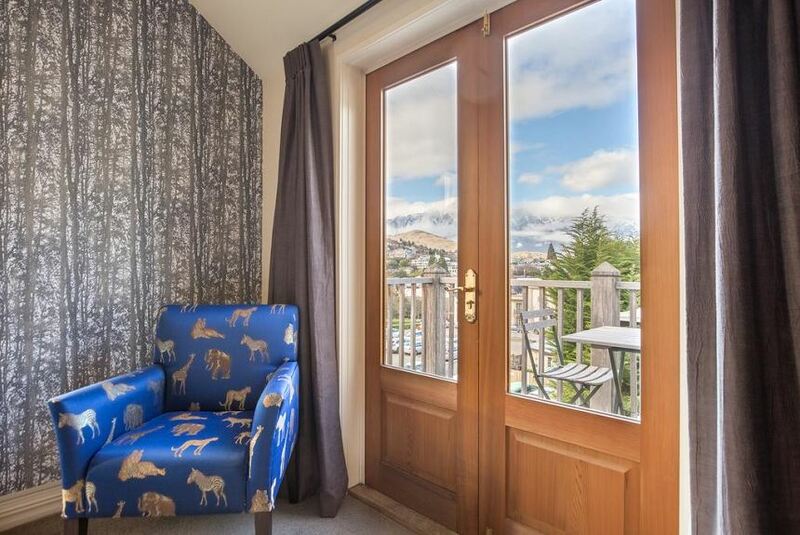 All guest rooms offer wonderful views of Queenstown's surrounding vistas, including The Remarkables mountain range, Lake Wakatipu and other alpine scenery. Recent room improvements include air-conditioning, mini fridges, luxurious wallpapers and other interior decorations. Guests enjoy a complimentary glass of New Zealand sparkling wine on arrival, fresh home baked cookies in the rooms and a gourmet breakfast each morning. Guests also enjoy free WiFi, free on-site parking subject to availability, as well as hotel facilities such as the guest lounge with a fireplace, the guest library, the luxurious GLOW day spa, an outdoor spa pool, desktop computer, luggage storage, and ski equipment.